Large oval rose quartz ring. This rose quartz gemstone is cushion checker cut and sparkles with pastel pink colour. 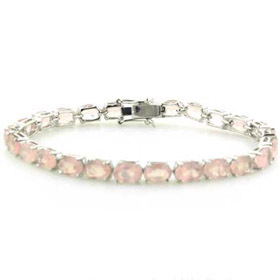 The rose quartz is set into chunky sterling silver and the sterling silver band is plain. The rose quartz sits smoothly into its setting and won't catch on clothes or similar. 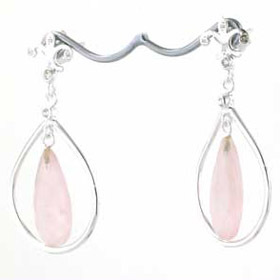 Wear with rose quartz earrings and a rose quartz necklace. Choose your size for this rose quartz silver ring from the drop down menu. We give the UK sizes and the equivalent USA. This chunky rose quartz ring looks fabulous on the finger.